Black Sabbath guitarist Tony Iommi is sharing a new song, “How Good It Is”, that he recorded with the Birmingham Cathedral Choir. 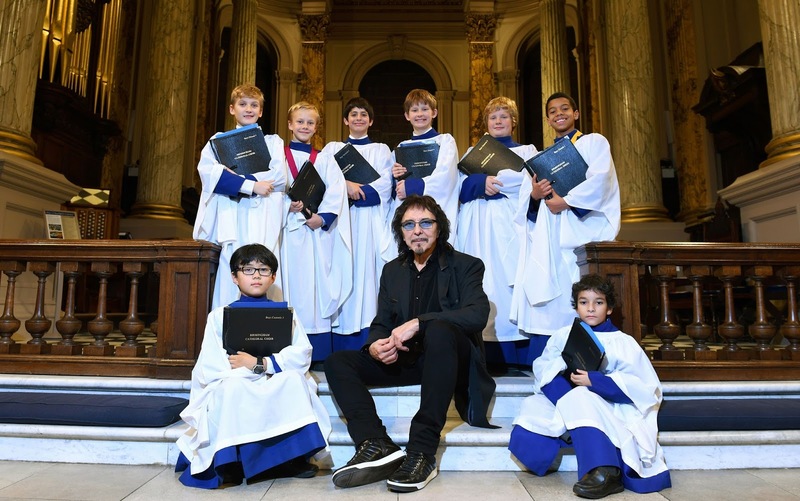 Iommi worked with his friend the Dean Of Birmingham, the Very Reverend Catherine Ogle, on the five-minute arrangement which celebrates peace, harmony and the Cathedral’s role in the heart of the city. “How Good It Is” features the Black Sabbath legend on acoustic guitar with lyrics inspired by Psalm 133 and performed by men and boys from the Cathedral Choir. “It’s great to be involved with the Cathedral and doing something for it,” explains Iommi. “When Catherine mentioned it, it felt like a nice thing to do, to be able to give something to the city. Iommi and Black Sabbath will regroup this month for the final nine dates of their farewell tour, with shows resuming in Cologne, Germany on January 17 and wrapping up with a pair of concerts in their hometown of Birmingham early next month.